This unique and beautiful table/bedside lamp with faux mahogany wood finish and chrome base adds the desired wow factor to your living space. It adds depth and warmth to a room. 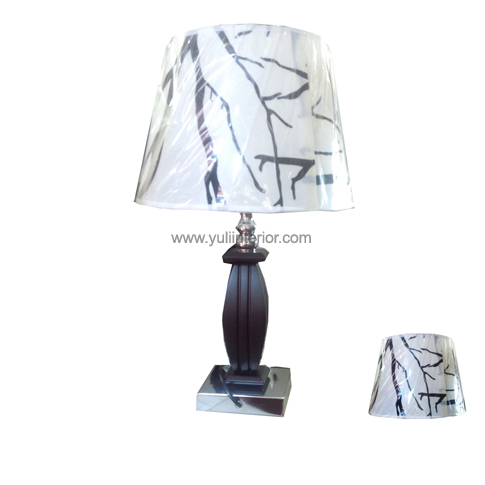 Tree designed white lamp shade. Feature: On and Off switch.